Dante Lauretta, Leader of the NASA OSIRIS-REx asteroid sample return mission and University of Arizona Professor, combined his expertise in space mission planning and technology with his passion for strategy gaming to create Xtronaut: The Game of Solar System Exploration. The Xtronaut game captures the various challenges and excitement of planning a space mission. Lauretta co-founded Xtronaut Enterprises with space entrepreneur Michael Lyon to increase awareness of OSIRIS-REx and other space missions through entertainment and education programs. They launched a Kickstarter campaign to support the game on September 12, 2015, and have exceeded their funding goal of $15,000 with over 300 backers. The Kickstarter campaign has been awarded a "Staff Pick" on Kickstarter, and has received endorsements from groups that include Planetary Resources, the Planetary Society, and the United Launch Alliance. 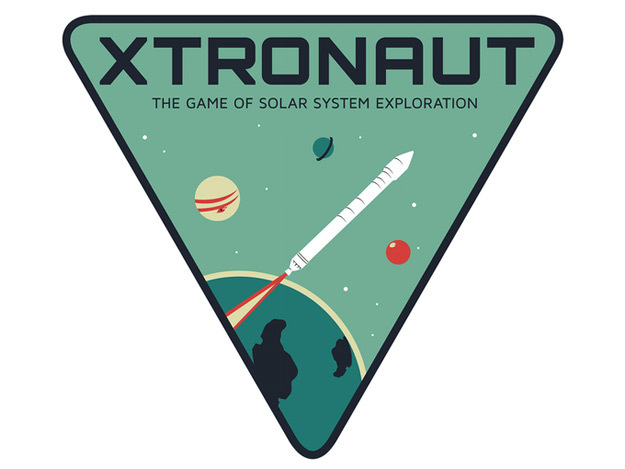 Xtronaut: The Game of Solar System Exploration gives 2 – 4 players ages 7 and up the chance to develop space missions and explore the solar system. The game is based on real planetary missions and rocket science. It also contains elements of politics and strategy that are inspired by the real-life situations that space missions face. The game has been tested with players that range from elementary school students to graduate students in planetary sciences and mission scientists. Lauretta commented, "Our game makes exploring the Solar System fun, and helps us connect a broader audience to the incredible missions of planetary exploration." Success with the Kickstarter will permit Xtronaut to put the final version of its game into production, and further its education programs. As a result, Xtronaut is excited to be moving ahead with its plan to deliver copies of the game to the kids at the Boys and Girls Clubs of Metropolitan Phoenix as part of a STEM science club program made possible by a grant from Cox Communications of Arizona. "The Boys and Girls Clubs were very important to me growing up. Without these Clubs, I am not sure I would be leading a global space mission today. I am excited to give back to the BGC of Metropolitan Phoenix and inspire the next generation of scientists, engineers and citizen scientists through the Xtronaut Science Club," said Dr. Lauretta. With 20 days left to go, the Kickstarter campaign for Xtronaut is now eyeing its stretch goals. In 2011, NASA selected the Asteroid Sample Return Mission, OSIRIS-REx – a $1 billion mission to send a robotic spacecraft to an asteroid named "Bennu", collect a sample of the asteroid, and return the sample to Earth. Unfortunately, the education outreach budget for OSIRIS-REx was eliminated in 2013. In response, mission leader Dante Lauretta and space entrepreneur Michael Lyon founded Xtronaut Enterprises to develop innovative activities associated with space exploration. The term Xtronaut celebrates the people that design spacecraft and rockets, operate the vehicles, participate in the science, or simply appreciate space exploration.